When HR and diversity leaders are bogged down by administrative tasks, proving the ROI of employee resource groups can seem unattainable. Are ERG membership and participation growing? Do your ERGs connect employees to mentors and foster inclusivity? To answer these questions, you need a clear and holistic view of ERG performance—meaning you need a proven tool that tracks ERG events, measures membership growth, and multiplies employee engagement. 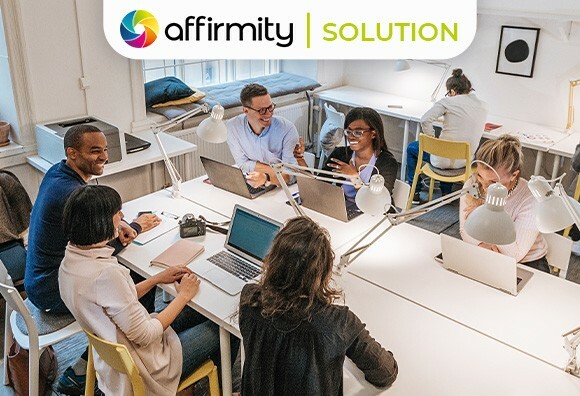 Affirmity’s Employee Resource Group Platform is your solution to effective and efficient ERG management. Find out how our ERG platform can help your team gain total visibility and accelerate program success!